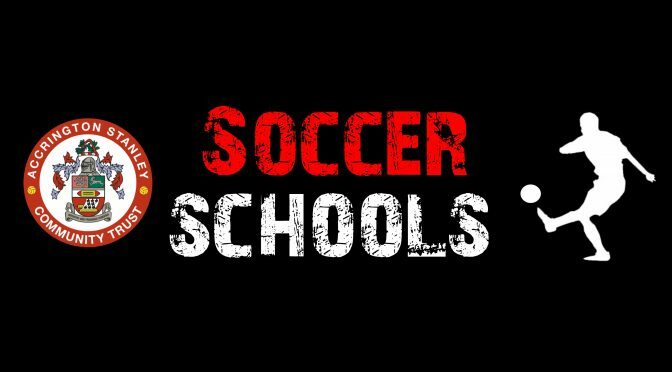 Soccer Schools provide school holiday provision for hundreds of children every year and offer young players the opportunity to learn, develop and achieve in the holidays. Established in 1997, our Soccer Schools program has grown to cater for children across the county, with each venue being carefully selected to provide adequate play and changing facilities regardless of adverse weather conditions, allowing youngsters to develop safe in their surroundings. Aimed at children aged four to 12 years old, Soccer Schools work in age-banded groups of no more than three years apart. This allows children to safely participate and the coach to accurately challenge and assess the needs of the player, under full supervision.